The 2018 AFL Grand Final is over with Collingwood experiencing a devastating loss to the West Coast Eagles. The Magpies, having defeated both the Greater Western Sydney Giants, and Richmond Tigers in qualifying and preliminary finals were hopeful of wining the 2018 Premiership Cup. 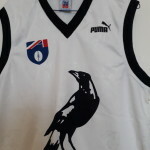 Collingwood, initially displaying fierce tackling abilities, excellent ball skills, superb marking and goal kicking ability, indicated that they would enjoy a successful day out at the MCG. They controlled much of the first quarter kicking the first five goals and winning the game at the first break with a lead of twenty nine points. The dogged Eagles fought back and after a brilliant third quarter managed to go into the last break with scores even. The lead seesawed back and forth between the two teams during the final quarter. 100,022 loyal fans wearing their football jumpers, jerseys, guernseys were treated to a thrilling, action packed match. Ultimately the Eagles prevailed winning by five points. The West Coast Eagles have now won four premierships, finishing the 2018 season in second spot on the ladder behind the Richmond Tigers. Their win broke a streak of five Grand Finals when Victorian teams had defeated interstate opponents. The Magpies finished in third spot behind the Tigers and Eagles. and Richmond to get to the Grand Final they were widely tipped to win the Premiership. 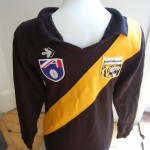 Having been defeated by the West Coast Eagles in Perth for the first qualifying final they were strong contenders to win on their home ground of the MCG. It was a thrilling contest and fans were treated to a great spectacle all wearing their football jumpers, jerseys, guernseys. 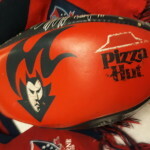 The AFL Melbourne Demons are preparing to travel to Perth to play the West Coast Eagles on Saturday the 22nd September at Optus Stadium. The match is scheduled for 1.20pm Australian Western Standard Time which is two hours behind Melbourne time. 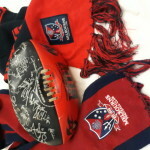 Excited Melbourne Demons fans will be watching the game at 3.20pm Melbourne time.
. Tickets are still available for this Preliminary Final. Its official tickets for the Richmond Tigers versus Collingwood Magpies are now all sold out in all sections and for both clubs ticket holders. The only available seats and standing room will be in the MCC Membership Area where members queue and scan their barcode on entry hopeful of access. These fans will queue overnight or some time ahead to gain entry. Two of Melbourne's most popular teams, traditional rivals, Richmond and Collingwood, will play before a capacity crowd on Friday night the 21 September at the MCG at 7.50pm. It promises to be a grand display of footy between two celebrated and widely followed football clubs. 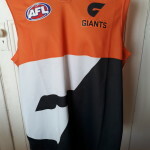 Fans will be vocal, loyal, parochial and passionate and will be wearing their footy jumpers, jerseys, guernseys. Jubilant scenes last night at the MCG as Melbourne beat Hawthorn to secure their place in the Preliminary Final. The Hawks, gallant in defeat, succumbed to the powerhouse Melbourne Demons who are focused on victory. Fighting off a resurgent Hawks the Demons maintained their cool composure, fought off all the challenges the Hawks threw at them, and prevailed to run out comfortable winners. Fans laughed, cried , danced and cheered their beloved Demons to victory. Jack, son of Todd Viney, the Demons Captain proudly led his team off the MCG amidst uproarious scenes of celebration all around the ground. 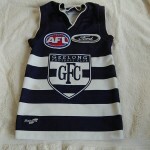 In excess of 90,000 excited fans, all wearing their teams football jumpers, jerseys, guernseys, roared their approval. It has been a long time since Melbourne experienced AFL Finals success. Club stalwarts Ron Barassi and David Neitz were amongst the crowd of Demons faithful, wearing their teams colours and joining in the celebrations. 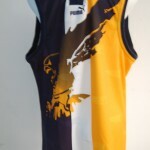 Its been eighteen years since they played in a Preliminary Final and they will venture to the West next week to take on an in form West Coast Eagles side. 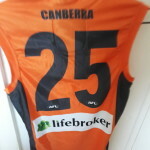 Tonight the Greater Western Sydney Giants take on the Collingwood Magpies at the MCG. It too will be a fierce battle and whoever is the victor plays the Demons next week. Exciting times for footy fans and another big crowd is expected tonight, most wearing their football jumpers, jerseys, guernseys. The AFL Football Season 2018 has begun. A series of matches will be played out over the Easter break . 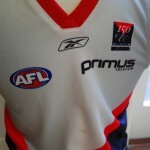 This included an historic game between the North Melbourne Kangaroos and the St Kilda Saints on Good Friday. Traditionally no AFL Games were played on Good Friday. In 2017 the North Melbourne Kangaroos played the Western Bulldogs on the first Good Friday match up. The North Melbourne Kangaroos had long advocated for a match on this day and were duly rewarded by the AFL by being the first team selected to play . This has changed and the AFL now schedules a match for this day with North Melbourne playing opposing sides. Many fans get along to games over the Easter Break including games on Easter Saturday, Sunday and Monday. Interstate sides have fared well in Round 2 of the footy fixture with wins to the Dockers, Suns, Giants and Crows. The Adelaide Crows playing at home defeated the Richmond Tigers in a rematch of the 2017 Premiership Game. A huge crowd is expected a the MCG on Easter Monday when popular local Teams the Hawthorn Hawks and Geelong Cats play in a highly anticipated closely fought battle. 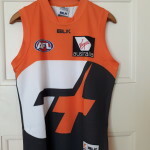 Record crowds of fans are expected to all Easter Games many wearing their football jumpers, jerseys, guernseys. 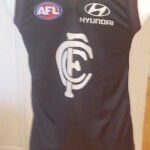 Who’s wearing Blue Footy Jumpers ? 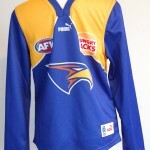 Both the Eagles and the Blues have blue in their team colours . 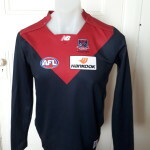 Who will wear blue jumpers on Saturday nights , twilight , AFL Semi Final Game , in WA ? The Blues travelling interstate , will surely favour their traditional style , navy blue with white logo football jumper , jersey , guernsey . 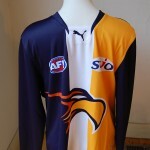 The host team , the West Coast Eagles , have a home style jumper of dark blue , yellow and white . Will they wear this ? 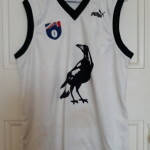 or be forced to adopt a white style , clash football jumper ? 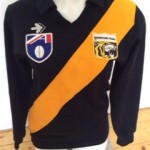 The question arises , who will wear what coloured footy jumper on saturday night ? 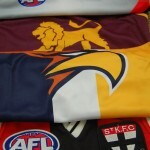 Posted in AFL, football jumpers, NRL | Comments Off on Who’s wearing Blue Footy Jumpers ?